Sting missed out on working dream matches with some true WWE legends. Sting is one of the biggest wrestling legends still alive today, who made his name in WCW. The surfer Sting character with colorful face paint and bleached blond hair was successful enough that he would be remembered as a top star based on that era alone. The Crow gimmick took him to the next level, however, as the New World Order’s top foil and one of the most distinctive figures from one of wrestling’s most successful time periods. Sting took his time coming to WWE, and as he discussed in an appearance of Legends with JBL for the WWE Network, he wasn’t sure he trusted the company. As such, he only had about one year with WWE, and in the twilight of his career. He worked just a small handful of matches, and only two of them properly built PPV showdowns, opposite Triple H and Seth Rollins. This begs the question what might have been had Sting signed sooner, or had the Monday Night War progressed a bit differently. 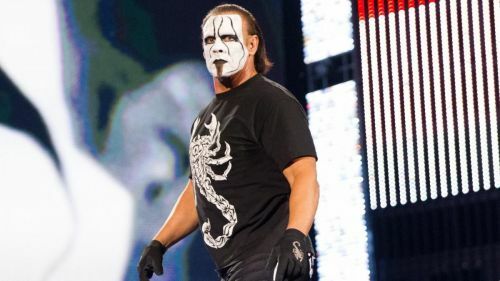 This article takes a look at seven of the top legends Sting never worked in a WWE ring. Sting faced Stunning Steve Austin, but never Stone Cold. Sting worked with Stunning Steve Austin a fair bit in WCW, when Sting was the top face prior to Hulk Hogan’s arrival, and Austin was an upper mid card heel who seemed likely to mature into a main event spot. Their work in this context was nothing like what a showdown would have looked like between Crow Sting and Stone Cold Steve Austin, tip top stars from warring brands. While both men are remembered better for their character work than their actual wrestling, they could each hold their own. In particular, Austin was a ring general who more often than not delivered in big match situations. There’s an argument to be made that we actually did see these two wrestle at their respective physical primes in the early 1990s, but seeing them clash at the peak of their popularity, during or just coming off of the Monday Night War era would have felt like a bona fide dream match.